Ortho-K for those who are Long-Sighted is now available! Ortho-K is the overnight treatment for vision correction, allowing you to be able to see without the use of contact lenses or glasses during the day. 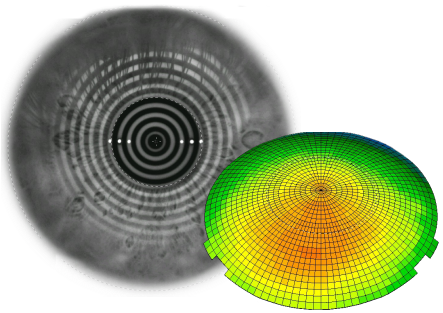 We're excited to announce Ortho-K is now available for those people who are long-sighted. Book in to see if you're eligible for this exciting treatment. 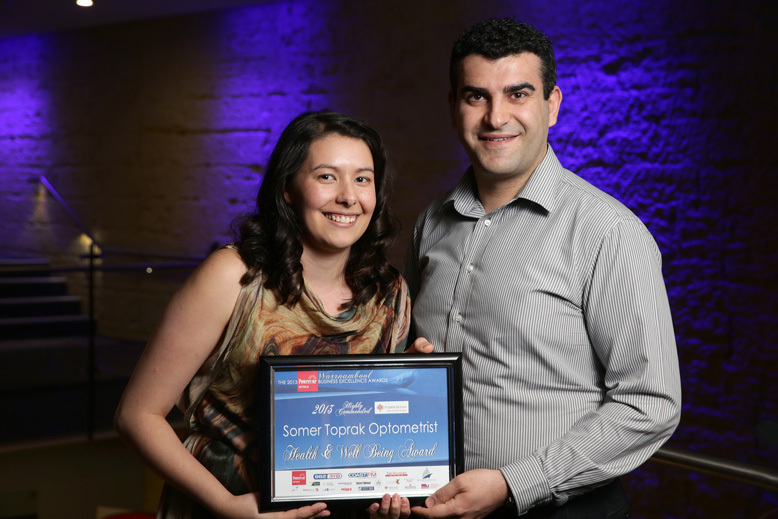 Somer Toprak Optometrist received a Highly Commended in the Health and Well Being category of the 2013 Powercor Business Excellence Awards. Photo courtesy of The Standard. Prize winners for the Powercor Business Excellence Awards were announced on Friday the 18th of October 2013. Nadia and I are proud to receive a Highly Commended in the Health and Well Being category. We truly are grateful for a wonderful first year of business. The award is an extremely welcomed icing on the cake. We thank the good people of Warrnambool and surrounding towns for making this possible and for their support. We have special thanks for the category sponsor, St John of God Warrnambool, and all the sponsors including Powercor, Ace Radio, The Standard and Warrnambool City Council. Thank you! 'Tis The Season... For Itchy Eyes! It's that time of the year again. The weather warms, the grasses grow, the flowers bloom and the winds pick up. Dust and pollen allergies cause a lot of angst for those of us with seasonal allergies. For sufferers, allergy season can get very nasty with a combination of itchy eyes, sneezing and blocked sinuses. Use of oral antihistamine medication can be effective if seasonal allergies also affect the nose and sinuses. If you only suffer from itchy eyes from seasonal allergies, or if oral medications don't completely relieve your itchy eyes, you may need topical antihistamines in the form of eye drops. For those with less severe and less chronic seasonal allergies, antihistamine drops with sympathomimetics can provide temporary relief of itching and swelling. These usually are marketed with the words "for red eyes", and have a "-A" ending (examples are Naphcon-A, Albalon-A). 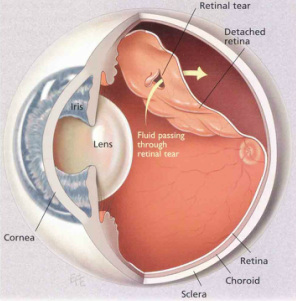 A word of caution, however, as prolonged use (more than 5-7 days) of these medications can result in rebound red eye when ceased, usually worse than when you started. This can be unsightly and difficult to overcome. Help is at hand with combination antihistamine and immune cell stabilisers. These drops not only soothe the itching, but also reduce the tendency of developing red itchy eyes by stabilising the immune cells (mast cells) which are responsible for eye allergies. This can provide lasting effective relief for those troublesome months. As your Optometrist, we are able to diagnose seasonal ocular allergies and prescribe appropriate medication. Call in to see us if you suffer from itchy eyes! Wow what a year it has been! Nadia and I are so proud with the addition of our new practice to Warrnambool. Now 12 months on we are going strong and continuing to provide uncompromised comprehensive eye care. And now finally our website is live. We promise to bring you constant updates on the latest and greatest, and stories of interest. Please follow our blog, like us on facebook or follow us on twitter! Thank you!